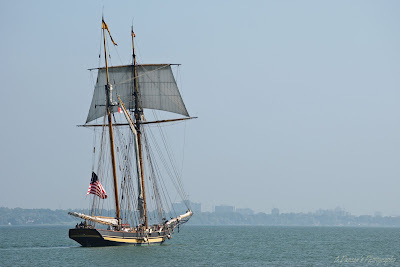 ...Photographic Ramblings...: Sailing Away ~ Wide Angle Wednesday! 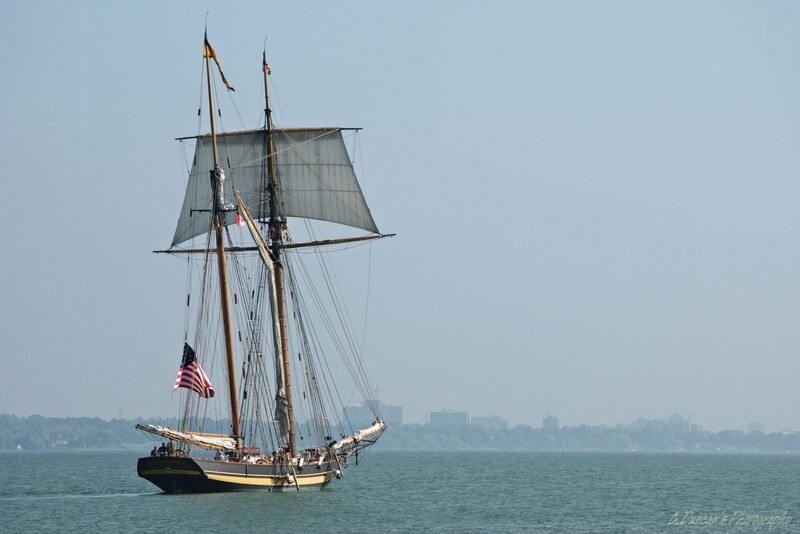 "The Pride of Baltimore Embarks"
The fanfare was gone, the sky was hazy, and as the crew shouted orders to one another, she pulled away to begin the next leg of her voyage. The Pride of Baltimore II was leaving the harbour in Hamilton where she'd rested for two days. I'd had an hour to place myself in a good spot compositionally without any of the handful of people around getting into the shot. And as she began to sail away all I had to do was press the shutter. Have you noticed that sometimes, there's no special approach or angle or lighting to be had with your targeted image, you just need to tell the story visually, and let the subject do the showing off? You can see the poor air quality that morning as she turned towards the sun to exit under the Lift Bridge. And they couldn't drop all the sails till they cleared the harbour, so that type of shot was out of the question. So, once again a lesson in making the most of what you have and knowing that it's enough. And I also know that the image above will make a nice cyanotype conversion for a coming Thursday's post... you'll see. 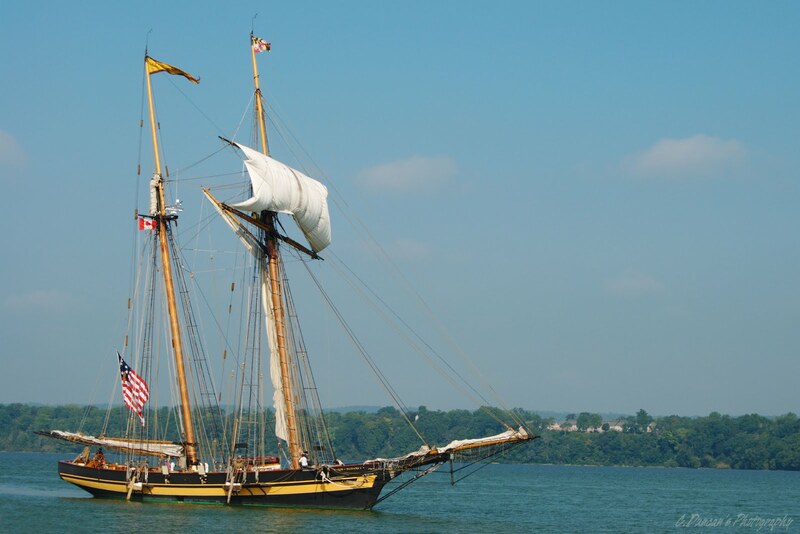 If you're in Montreal this weekend, she'll be docked there for two days before she's off again. And she's beautiful to see up close. Take your cameras! And make the most of whatever opportunity you've got. Thanks for the ramble. Have a good one. Thanks so much Alice, wonderful to hear from you!!! You m'dear, have such a lovely blog yourself... I hope more folks read this and check it out!